To me, Revlon is more of a brand for foundation and lippies, but I have always liked their blushes as well for the subtle and silky formulations. What I didn't like was the flimsy and unnecessarily bulky packagings not to mention the confusing product line-up. So I was quite glad to see that Revlon has cleaned up their blush line recently. 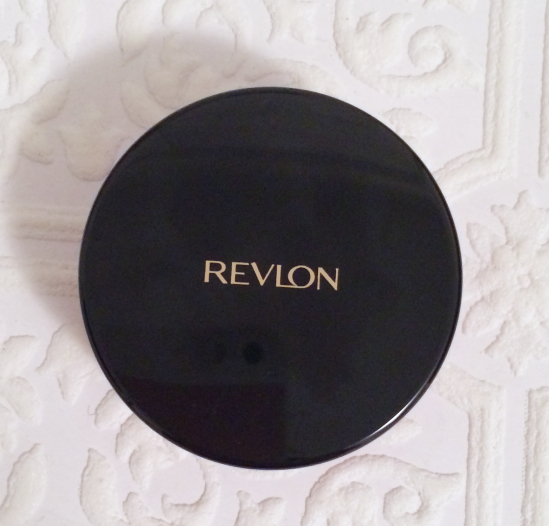 Now Revlon simply offers three different kinds of blush in new packagings. 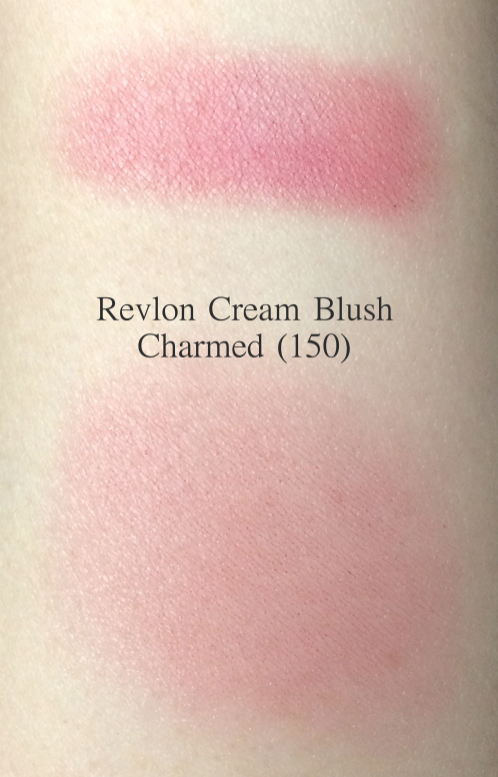 I picked up Revlon Cream Blush "Charmed", which is a new color introduced for this Spring 2014. I am not into cream blush as I find the application for the type is somewhat tricky and powder blush performs better on my combination skin. However, there is something so charming about the cream blush finish, and it didn't feel right that I didn't have any cream blush in my stash (if you know what I mean..). The thing is I did not want to spend too much on something I would only use once in a while. 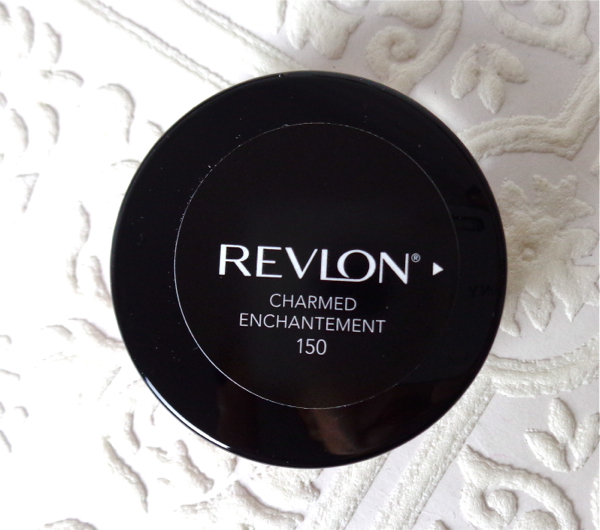 The new color Charmed looked quite fresh and the simple packaging appealed to me as well as the Revlon price. Revlon did a very nice job on their blush packaging this time. It is simple yet sturdy, looking even high-end. Oh wait, the sticker peels off easily. 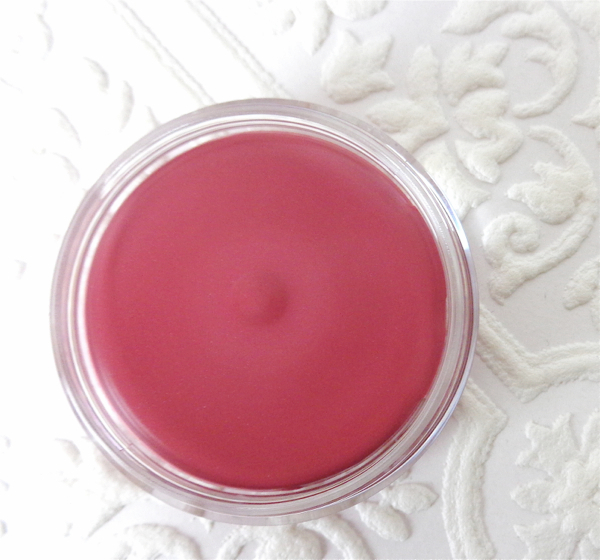 Charmed is a blushed rose with raspberry undertone. I personally think it is more of a winter color for those naturally flushed cheeks. 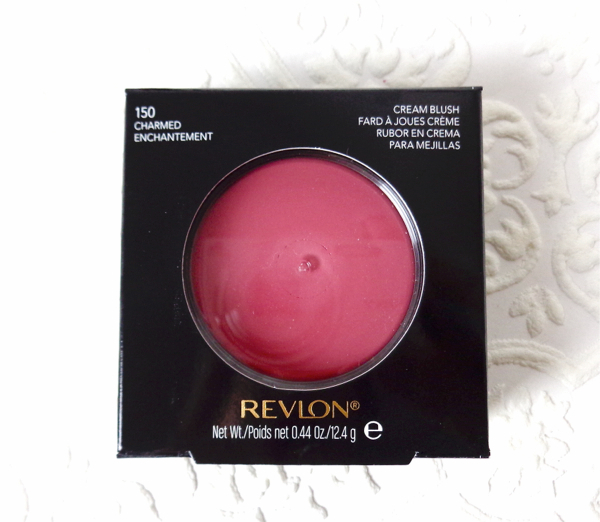 Revlon Cream Blush Charmed has lovely texture. The color glides on and easily blends in to satiny matte finish. Overall, I really like this cream blush. It is a breeze to apply (no accidental clown face) and the achieved result is so natural. The color is on the sheer side but the intensity can be easily controlled. I also enjoy this almost matte silky finish as I find some cream blush unbearably sticky (Bobbi Brown Pot Rouge, for example). Still its finish that mimics inner glow clearly differs from powder blush, and this particular shade makes you look like you just had a lovely walk on a mild winter day. I don't know how it will hold up when it gets warmer, but I feel that it wears comfortably and stays quite well on me for now. I did try it on my lips but I didn't quite like it. Although there is no unpleasant scent or flavor to it and no one says we could die from wearing it on lips, I find it is too drying. Too bad cause it appears a pretty MLBB shade with softest matte finish. 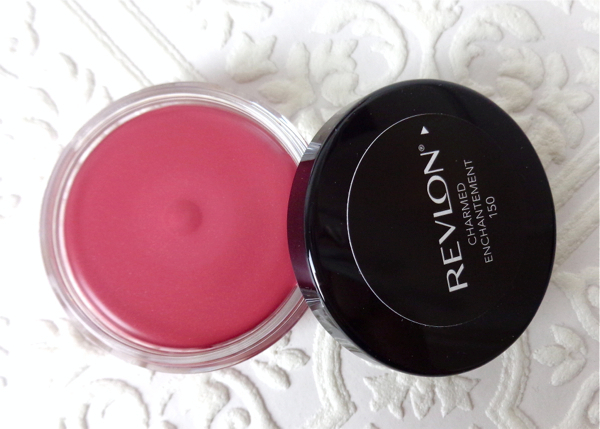 Have you tried Revlon Cream Blush? Who makes your favorite cream blush? I've never tried cream blush, but I like the idea that it looks natural. I could totally go for that. I always skip past the blush section when browsing through Revlon. But my favourite cream blush has to be the ones from Stila or MAC. LOVE it! So pretty on you! Does it last all day? I love when cream blushes are versatile but I noticed they don't work well on the lips. Such a shame it didn't feel good on the lips. We don't get Revlon cream blushes here. It's quite a pity because this one looks great! It's a stunner! I've seen these but haven't tried them or swatched them at all, I've yet to wear any cream blushes, although you describe the texture to be perfect! I would be afraid of anything too wet or sticky on the face, it's just no nice if something gets stuck on it, hair, other make up...! It's such a pretty flush on you, I'd love to try this same shade! The texture is very light and silky. Not sticky at all, which is why I like it. Hey Lena, oh this looks promising! I actually use cream blushes very often nowadays. My favorite formulas are the Chanel and LMdB ones. I'd definitely love to try this though! Such a gorgeous raspberry! i've never tried cream for fear of the clown look, but it looks nice. i should have one in my stash as well, lol! I have the bright pink they came out a couple summers ago and I like the formula. Gurrrrl, you're looking fabulous! Ooooh the texture looks lovely! And so does the color, obviously. I think it looks really pretty on you! I was really excited when these popped up again but don't like the texture very much. I actually prefer the more sticky and dewy cream blush so these felt quite dry. Glad they work for you though! I'm very fond of Revlon, too! I think they are quite different from other drugstore brands. Just that it seems they do flops as many as their hits in marketing and packaging. Love the pretty rosy color! I didn't even know Revlon made cream blushes. This is lovely on you Lena. 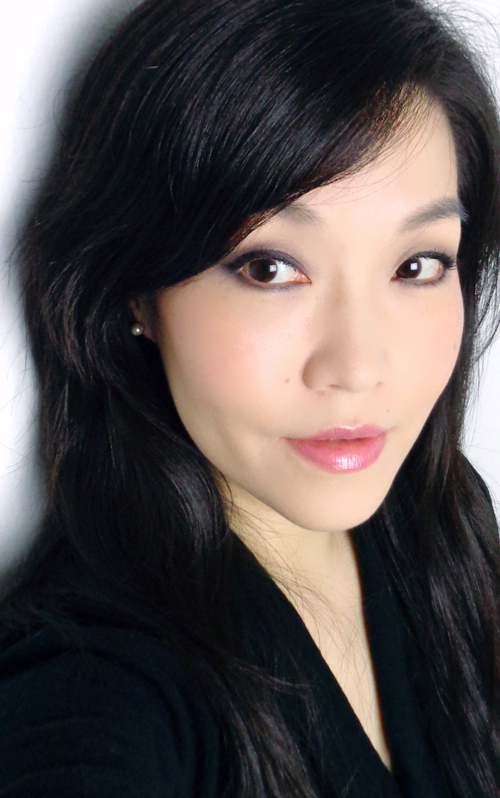 I made the switch to cream blush since my skin doesn't like powder blush during the winter. I feel like the dewy glow it lends is more youthful too. My current favorite is RMS Lip2Cheek in Illusive. It's really moisturizing and I also use on my lips. The RMS one sounds very lovely. I will be looking for that! ooo pretty! i really wanted their cream blush in coral reef but went with stila's gladiola instead. i was scared about cream blushes for a while but i think...they can have better payoff sometimes. Gladiola is gorgeous! And I agree Stila Convertibles are more pigmented. I've never tried Revlon cream blush but I was eyeing a couple in the store earlier today. I exercised some willpower and didn't get them though. My favorite cream blushes would have to be Stila Convertible Colors. I just love them! That is one great willpower! The color is gorgeous - I've been loving cream blushes lately :) They're nice for winter, I think. Well, and summer, too. So...nice all around...which means I need more, I think, right? That's how this works? I also like your eye makeup a lot here!